For those of you who sell online or are planning on doing so, we spoke to the people behind ShopRocket, a leader in innovation in eCommerce, to find out more about what they do, and how they can help fashion start-ups. Why should fashion start-ups be selling online? The online market for a fashion brand or retailer comes with huge opportunities. In recent years, fashion and apparel have become the fastest growing eCommerce category, second only to consumer electronics. 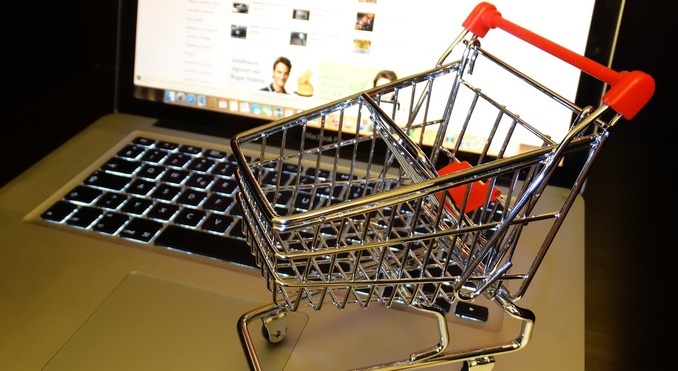 In 2015 alone, online sales will increase by 18.4 percent. In fact, the amount spent per head is higher online than it is in store. On average worldwide, each person is expected to make 21.2 purchases online this year, with the average shopper spending £55.36 per purchase. Needless to say, it’s an exciting time to be a fashion start-up, but despite technological advancements, setting up an eCommerce store can still be costly and it doesn’t come without friction or risk. Often, an early-stage start-up doesn’t have the resources to go through a time-consuming and expensive process. Why did you start ShopRocket? ShopRocket was built on the premise that any one person with a website that wants to add eCommerce functionality to it, should be able to do so. And they should be able to do so without high maintenance costs or tech headaches. We’ve created a solution that comes with no risk, upfront costs and doesn’t require any maintenance. Our founding team stems from technology backgrounds, so we’ve managed to create the ultimate eCommerce platform that’s based on a simple copy/paste solution. A single line of code is all that’s needed to add eCommerce to your existing website. From this line of code, we insert your products, create your payment gateway, and add a complete checkout process to your own website. We have three pricing tiers, starting at $7 per month with a free trial. This is the time to focus on building direct relationships with customers, not worry about costs, operations and maintenance. ShopRocket is free of obligations and comes without set-up or cancellation fees. Is the website owner able to remove a product or change a price without consulting you? We provide users with a dashboard that allows them to control every aspect of the eCommerce experience for their customers. You can add and remove products at your own convenience, make updates to pricing and create offers without being dependent on tech overhead. What was your main objective, apart from happy customers? When building ShopRocket, one of our main tasks was to simplify the checkout process. Complicated and lengthy checkout processes often result in cart abandonment. Globally, cart abandonment rates have reached a high of 68 percent, meaning a lot of business is being lost in a matter of seconds. ShopRocket’s checkout process was built specifically to reduce the friction from the moment your customers start the checkout process to the point of purchase. By stripping away all unnecessary steps, we’ve been able to bring cart abandonment rates down to 30 percent. We understand that it’s important to be able to sell where your customers are. We built ShopRocket not only to allow you to sell on your own website but also reach potential customers on already existing platforms such as Facebook or LinkedIn. You can also add eCommerce to your microsites, landing pages and blogs to further expand your online presence. Also, 35 percent of smartphone and tablet owners in Europe use their devices to buy their fashion products. That’s why we’ve made sure ShopRocket works on every device. However your customers are browsing, they will have the same seamless shopping experience. Discover ShopRocket today to learn more or sign up to create your own online store in minutes.